‘It was 20 years ago today’… In 1994 the economy was coming out of recession. Our fledgling business consulting firm was just getting going while we were all facing an incoming technological tsunami that would forever change the way we communicated. 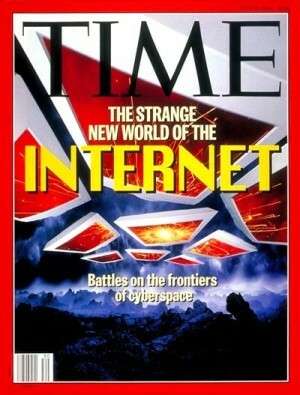 We were being introduced to new words: “Internet”. “World Wide Web”. “Email”. “Information SuperHighway”. We were learning how to log on, send messages via our 386 computers while shoving 5.25″ floppy disks into drives to see data on screen. We already had the ability to print out spreadsheets on dot matrix printers, and now, without a fax or telex, miraculously we could send them as attachments to the next office, next state, or around the world. Through our squawking, beeping 14.4 modems, we would hear “You Got Mail”. Communication would never be the same. We registered domain names and spent thousands of dollars hiring web designers. We rushed to the ‘PC Superstores’ CompUSA and Circuit City to buy the fastest machines, newest operating systems, soundcards, CD Roms, software, etc. We adopted this new technology quickly and adapted just as fast.